Happy Thursday and happy Lively Show day! 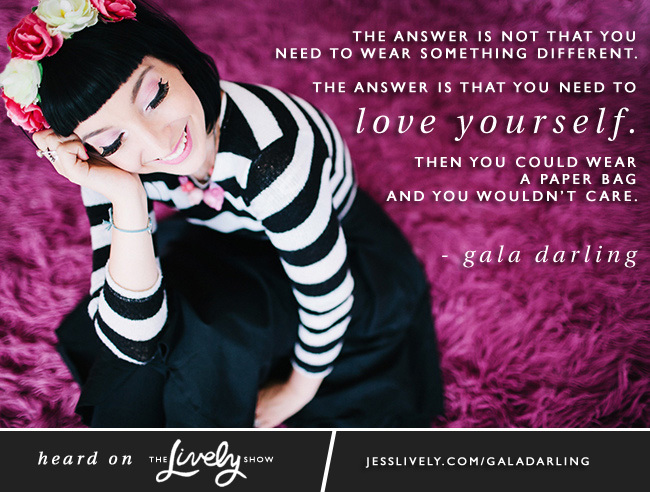 I’ve got a strategy-focused new episode for you today with Gala Darling talking about radical self love and overcoming disordered eating. For those who aren’t familiar with Gala already, she’s a New Zealander living in New York City and an outspoken advocate for radical self love (she’s even done a TEDx talk on the subject). 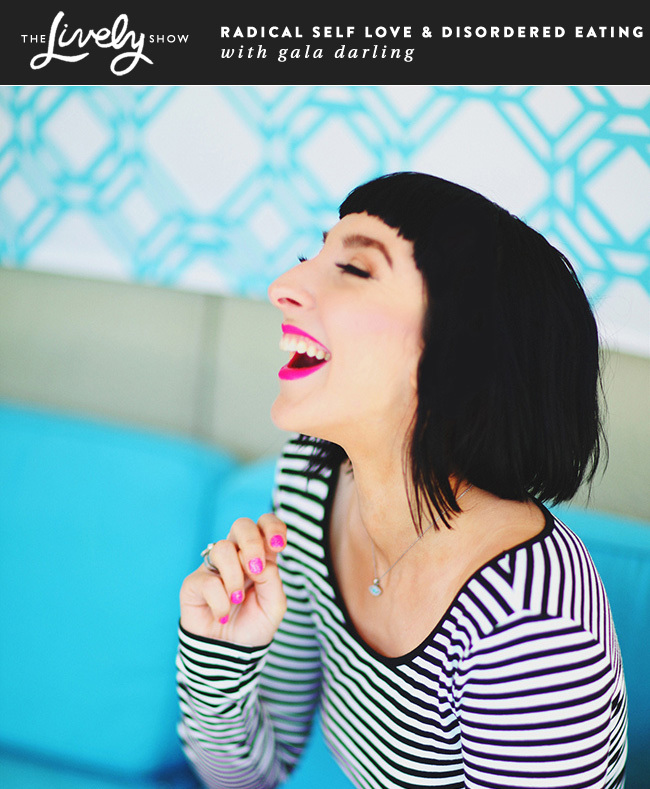 In today’s episode she’s talking about her journey to overcome her eating issues and sharing tactics to help us become more radically self loving. At the end, Gala also shares about how she handles career challenges, chooses which business opportunities to take, and how to say no to the ones she doesn’t want to take. This show is for anyone who has eating issues, shaky self confidence, or wants to add a little more self love, forgiveness, and acceptance in their life! The tool Gala used to overcome her depression and eating disorder. What inspired Gala to change the course of her life for the better – and eventually led to her passion for radical self love. How Gala defines radical self love. Gala’s suggestions for those who want to be more self loving. What Gala does to overcome stress and negativity in her career and business. Gala’s decision process when saying yes to new opportunities. How Gala says no to opportunities she doesn’t want to take. What Gala would tell someone just starting out on this journey. PS – You can now sort Lively Show episodes by topic!